Some of the most notable things about the city or Paris would be its wonderful architecture, fashion, food, and of course, how Parisians beautify their home. You can say that it’s always a combination of the old and new, traditional design, blending with contemporary, and always very voguish and stylish– just like their fashion sense. 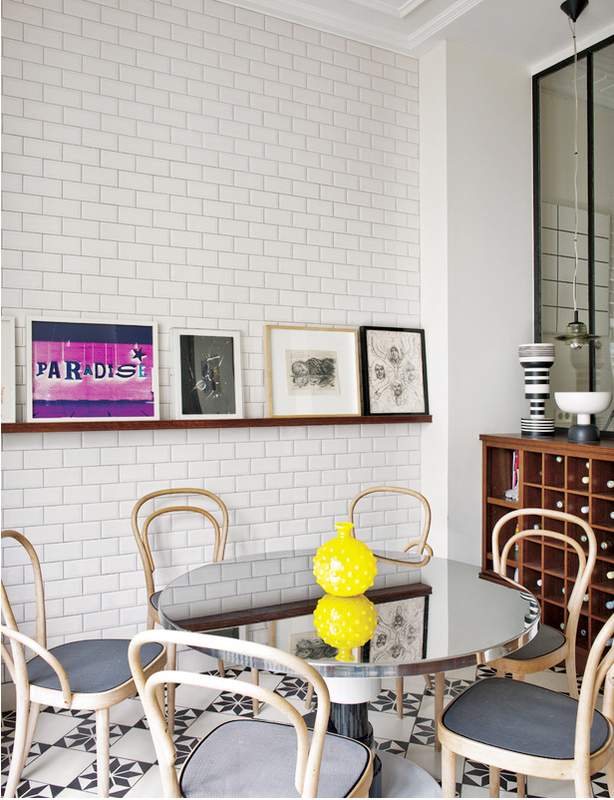 Here’s an example of a Parisian-inspired apartment. Let’s start with the walls. As you can see, the walls are all white, and there’s a reason for that. 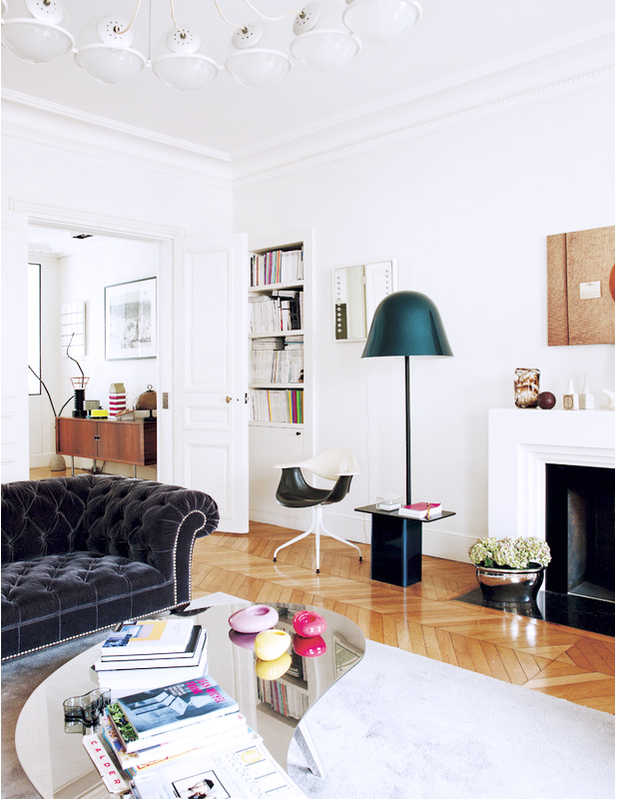 Parisians love keeping their walls as white as possible, because it’s a great way to maximize the amount of natural light in the room. However, it’s still important to ensure that the rest of the furniture are colorful, to balance everything in the apartment. However, the color palette is not complicated either, as it balances the space with a hint of intrigue. Complementary colors that sit opposite the color wheel are paired because they are known to naturally work together without clashing. 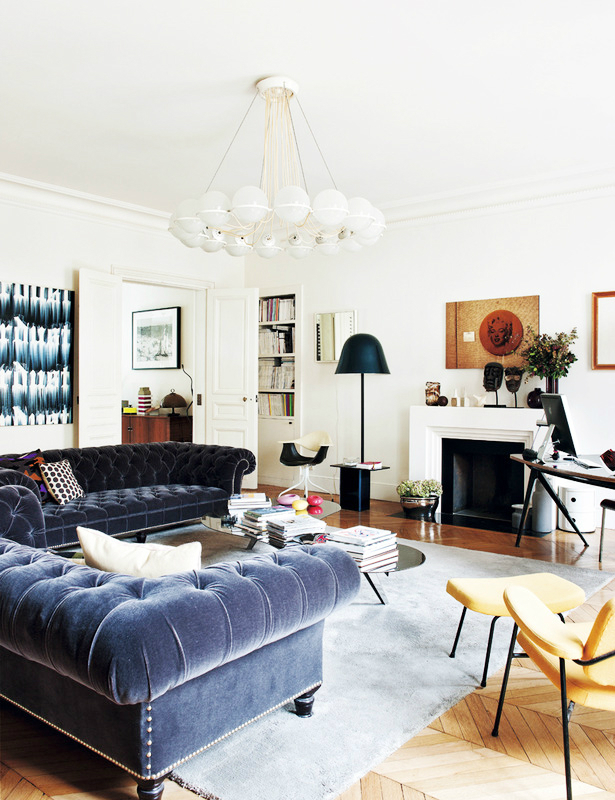 Thus, it’s perfect for a Parisian home. Although it’s a bit cliché, a chandelier in the living room can also innovate a bit of Parisian style in the apartment– this one is inspired by the Palace of Versailles. Then, there’s also part of the apartment that’s truly chic and withstand the test of time– different trends can be observed. It’s ideal for those who greatly appreciate the rich history of Paris, because it’s a home that stimulate the five senses. Let us not forget about the variety of floor coverings used in this apartment. There are different textures of antique wood flooring that made the whole space more comfortable and pleasant. 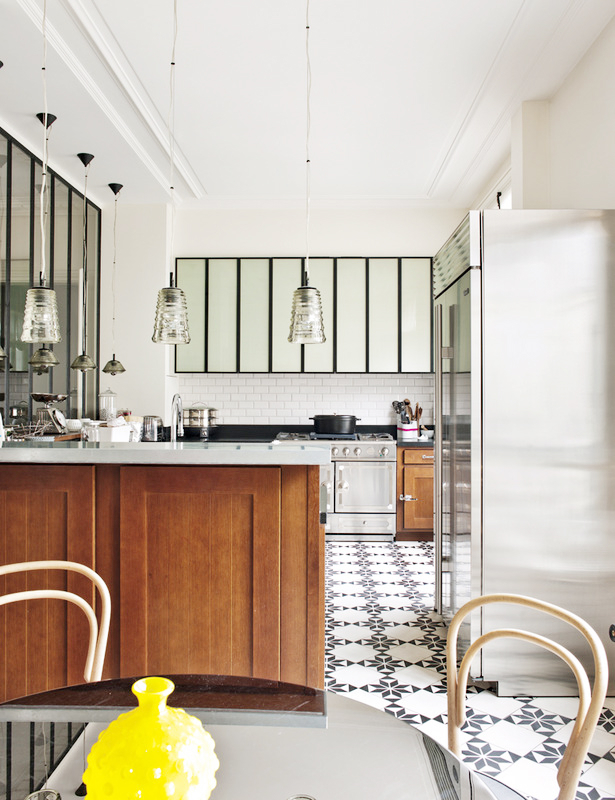 Overall, we can say that despite its simple design, this Parisian apartment is definitely homey and the interior could give the feeling of relaxation to the occupants. Love it! 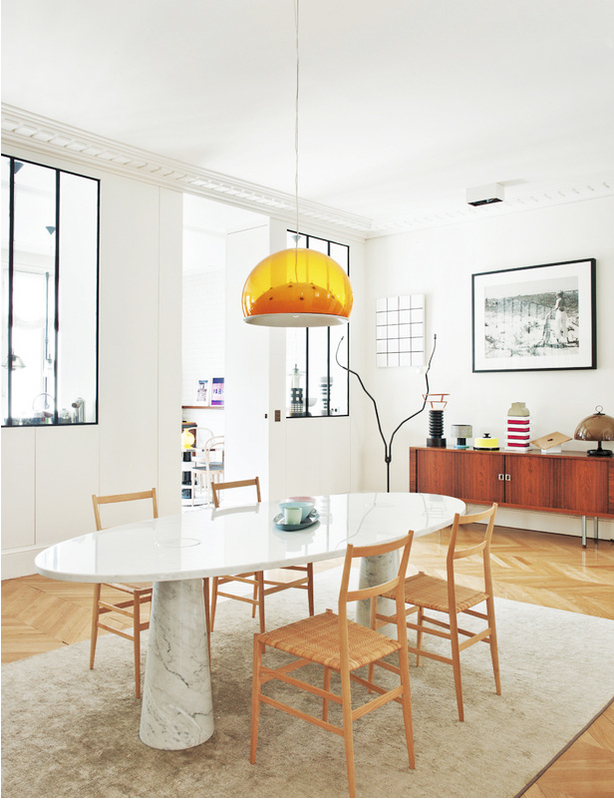 The orange lamp above the dining table is stunning!